Check your EuroMillions results right here! Find out if you’ve won one of the amazing EuroMillions prizes. It only takes 5 main numbers and 2 Lucky Stars to win the jackpot! Here are the most recent results for Europe’s biggest lottery! EuroMillions draws take place twice a week, on Tuesday and Friday, at 20:45 (GMT+1) in Paris. Official EuroMillions lottery results for draws and concurrent EuroMillions raffles are compiled and posted at around 23:00 the same evening so that players can find out if they’ve matched the lucky numbers. How Does the EuroMillions Draw System Work? EuroMillions draws are closely monitored to ensure that the results are completely random and that all ticket holders have an equal chance of winning. All of the numbered balls are meticulously weighed and measured and are under tight security at all times. The machines used to select the numbers are similarly checked and inspected to ensure that they are working as they should. 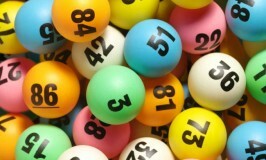 EuroMillions uses gravity pick machines for its draws. Even with today’s sophisticated computers and algorithms, gravity pick machines are still considered to be the most random and secure way to conduct a lottery draw. As soon as the draw has concluded, millions of ticket holders want to check their EuroMillions numbers to see if they’ve won big EuroMillions prizes! There is a lot of money on the line! The starting EuroMillions jackpot is €17 million and with many countries also offering raffles, there are thousands of big winners with each draw. When you play EuroMillions online on theLotter, you can sign up to receive result alerts. If you’re a winner, you’ll get the good news as soon as possible. So, get ready for the next draw! Buy your tickets for Europe’s biggest lottery and you could be one of the next big EuroMillions winners!